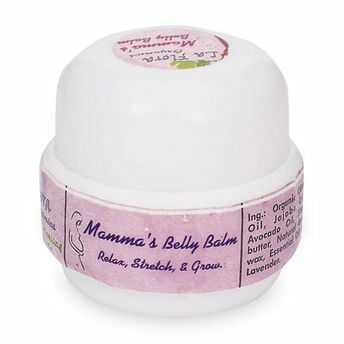 A wonderful addition to your prenatal care to help improve elasticity of skin. A Bio Balm helps you relax, reconnect to your transforming body in those nine months. It can be applied even after delivery. Org Olive Oil & Jojoba Oil along with dollops of Shea Butter that nourishes, moisturises, softens your skin helping it to easily stretch, expand as it needs.